Leather Supplier & Wholesale Leather Supply – Buckskin Leather Co. HUGE ASSORTMENT OF COLORS	ONE OF LARGEST COLOR SELECTIONS AVAILABLE! CALL TOLL FREE 888-723-0806 TO REQUEST YOUR FREE SAMPLES. CAN'T FIND THE COLOR YOUR LOOKING FOR? NO PROBLEM, ASK ABOUT OUR COLOR MATCHING SERVICE. INCREDIBLE SELECTION OF SADDLERY LEATHERS	PREMIUM VEGETABLE TANNED LEATHER FROM TOP SUPPLIERS SUCH AS HERMANN OAK LEATHER. VISIT OUR SADDLERY SECTION TO DISCOVER WHAT WE CARRY. KNOWLEDGEABLE STAFF	... committed to personal service, premium leather supply, stock availability and competitive pricing utilizing today’s global markets..
Wholesale Leather Supplier and Tannery Distributor for North American, European & International Leather Supply Tanneries. 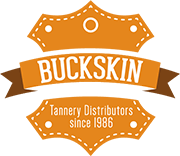 Buckskin Leather Company has been in the leather sales business since 1986 with our original website online since 1994. This leather supply site is prepared as a self help guide to finding your leather requirements in an educational layman'­s language. We carry a very large inventory of leather for sale and encourage all visitors to read through the entire website and inform yourself as to the different types of leather under each section on the left, and in particular the leather types, terminology & glossary page on our website. Leather crafters and leatherworkers are welcome to visit our physical leather stores in person or check out our interactive virtual tour of our leather supplies showroom. We have an extensive inventory of leather for sale and appreciate the difficulty in ordering raw leather materials online. We try to help minimize the head-aches by providing a secure, safe and personalized service to ensure accuracy while minimizing shipping errors. Here are our three simply steps to buying leather online! 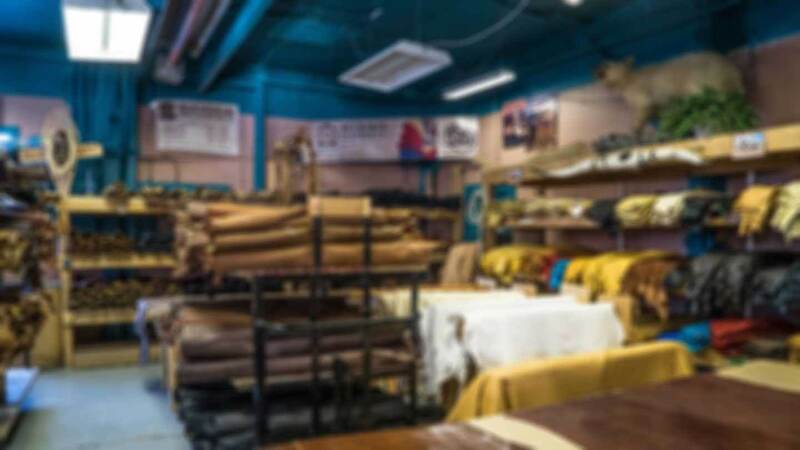 As every genuine leather hide is unique in characteristic, size, and grain imperfections, the only method to ensure a match to your requirements is visit our leather shop or contact us in person to discuss your leather supply needs. For this reason we have provided a Toll Free Telephone number for all of Canada and the USA (1-888-723-0806) for free leather advice and leather order desk. In addition, before making your leather hide purchase, we encourage requests for actual leather samples which are cut from leather hides in stock, on hand and provided free of charge by regular mail for up to four colors. Colors and patterns of hair on cowhide rugs may also be requested via mobile text message or email. We do not accept online ordering which we feel is impersonal and prone to errors. Now open! Join us at our new Edmonton location. 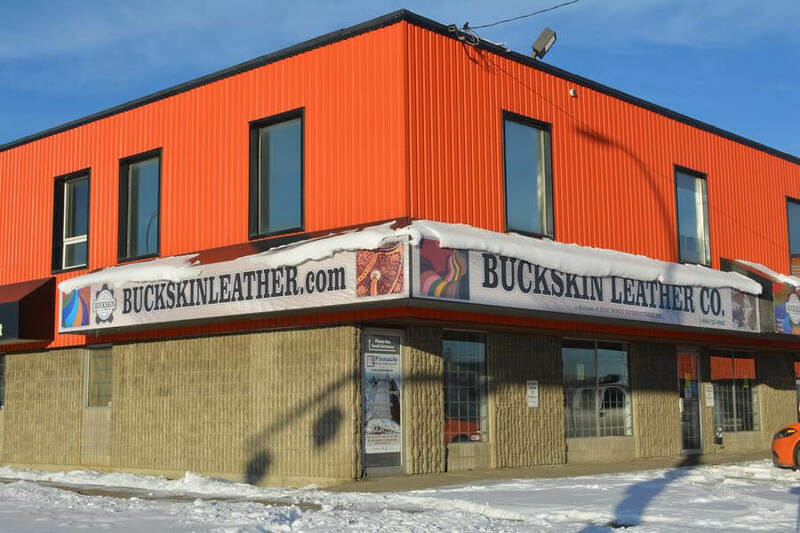 Located on the YELLOWHEAD TRAIL, 12506-124 St.
Our Reputation for Supplying 100% Genuine Leather Hide Supply has followed us for four generations! We are pleased to be one of the leading leather suppliers in the leather industry and have built our reputation on four generations of leather tanning and leather supply distribution by providing its customers with quality leather supply in a timely, cost effective and informed manner. Good luck in your leather endeavours and we hope you enjoy our online leather hide supply experience. Take advantage of our comprehensive selection of inventory sample swatches ready for shipping. Learn how to request your free leather samples here or should you need assistance or have inquiries, kindly call now our toll free number 1-888-723-0806 and we'll gladly answer any questions you may have about our product lines and leather sheets. Now Proudly Supplying the West Coast including: Greater Vancouver, Lower Mainland, Vancouver Island and all of British Columbia. Trusted Source for Leather Supply in Vancouver & Vancouver Island. All contents copyright © 1994-2016 Buckskin Fur and Leather Co a division of Hide Depot International. All rights reserved.